In this post, we will see how to create Spring boot hello world example using Thymeleaf. Let’s say you want to create Spring MVC MySQL project.When you are working on this project, you might be confused with a lot of dependencies it requires.You might get confused with versions too. Spring boot will solve above problems.Spring Boot will help you in creating Spring applications faster. It comes with all required dependencies and embedded server.You don’t have worry about version mismatch or compatibility issues. Here are steps to create a Spring boot hello word example Using Thymeleaf. 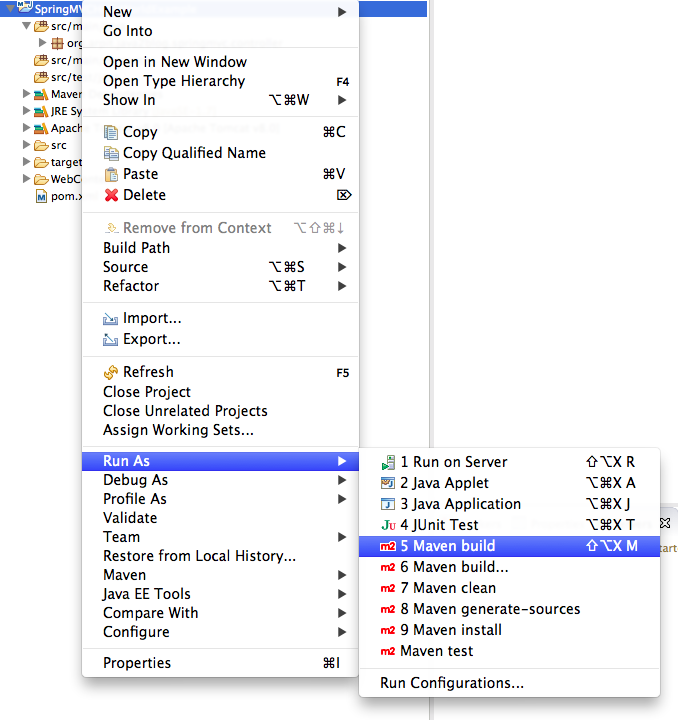 Step 1: Create a dynamic web project using maven in eclipse named “SpringBootHelloWorldExampleThymeleaf”. 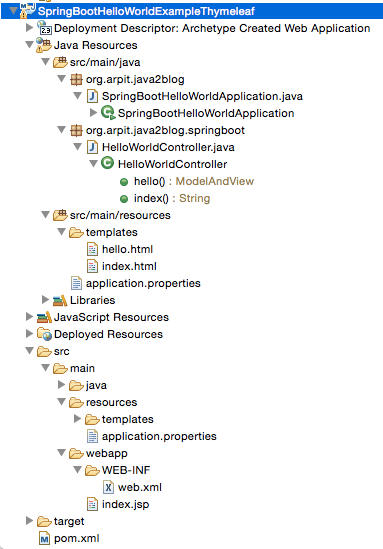 Since we are developing a web application using thymeleaf, we also need to add spring-boot-starter-thymeleaf dependency. This will include additional dependencies such Spring boot, thymeleaf, tomcat etc which are required for this application. 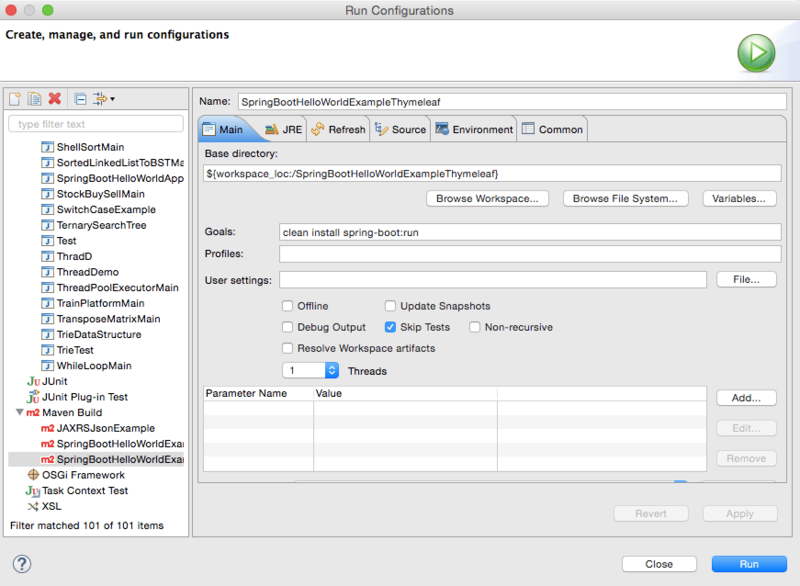 @ComponentScan tells Spring to look for other components, configurations, and services in the the default package, allowing it to find the controllers. Above property is used to disable caching of templates. 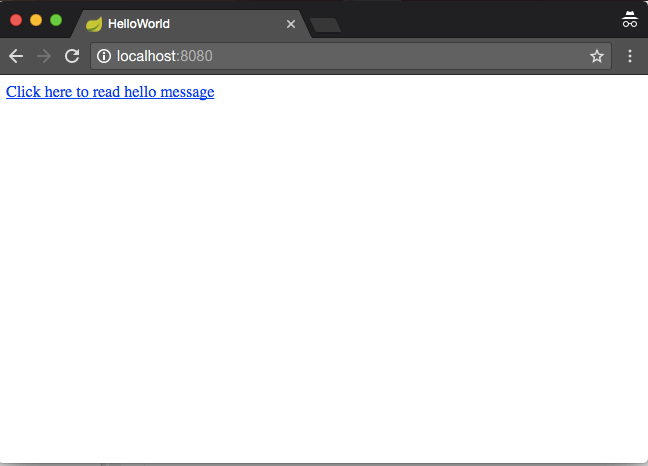 That’s all about Spring Boot hello world example using thymeleaf. As Spring uses embedded tomcat, you can access the project using http://localhost:8080/. 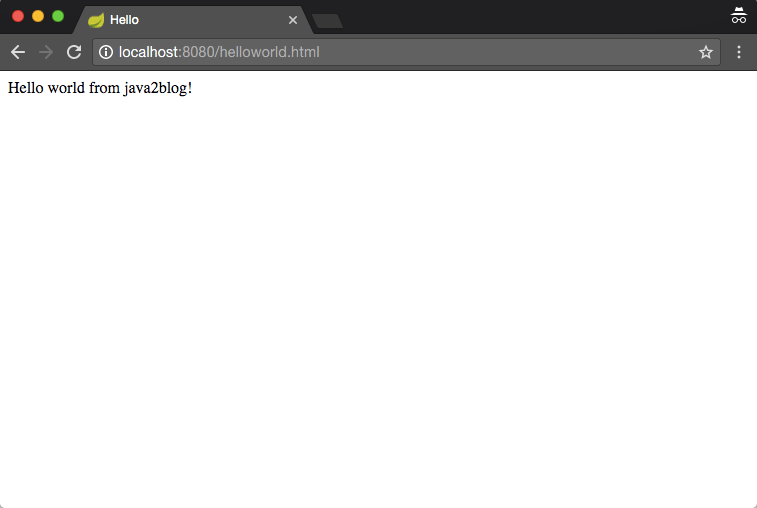 That’s all about Spring boot hello world example using Thymeleaf. If you find any issue with this project, please put a comment.